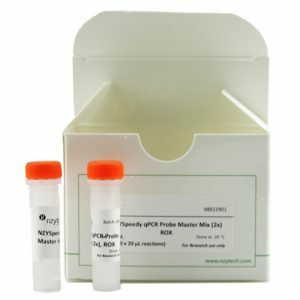 Over the last years, real-time PCR has become the leading tool for the detection and quantification of DNA or RNA. 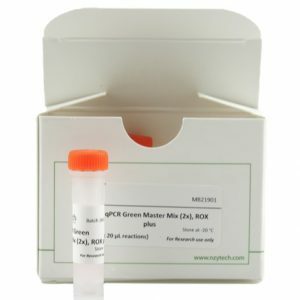 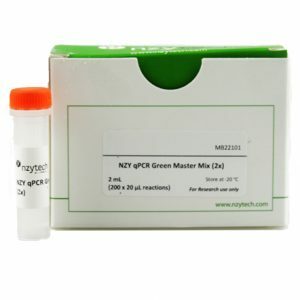 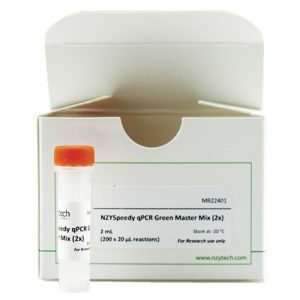 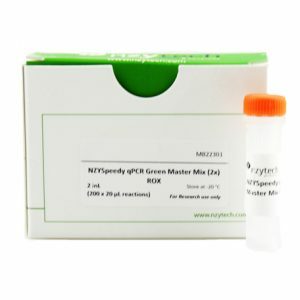 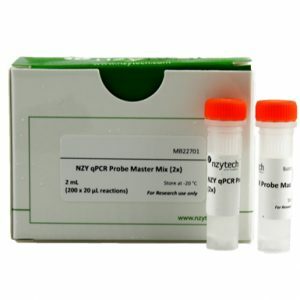 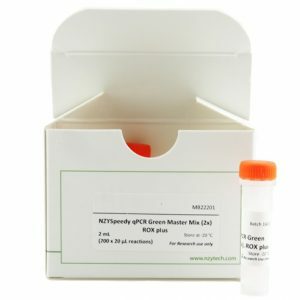 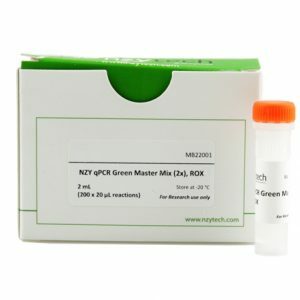 NZYTech qPCR master mixes are available in two different fluorescent PCR chemistries: the intercalating green dye chemistry (Green mixes) and the probe-detection technology (Probe mixes). 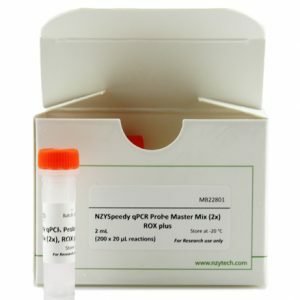 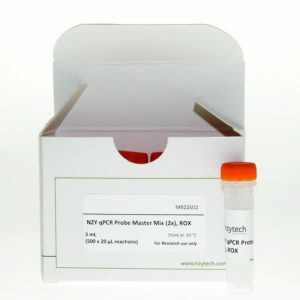 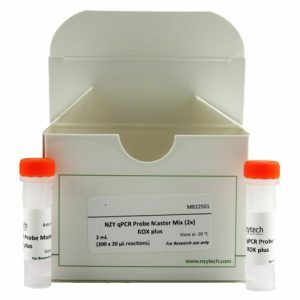 In addition, NZY qPCR master mixes are suitable for standard thermal cycling protocols while NZYSpeedy mixes present a higher performance for the faster real-time PCR instruments. 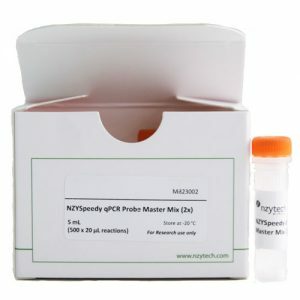 NZYTech qPCR master mixes are compatible with the majority of thermocyclers available in the market and can include ROX™ passive reference dye to normalize the fluorescent reporter signal in real-time PCR. 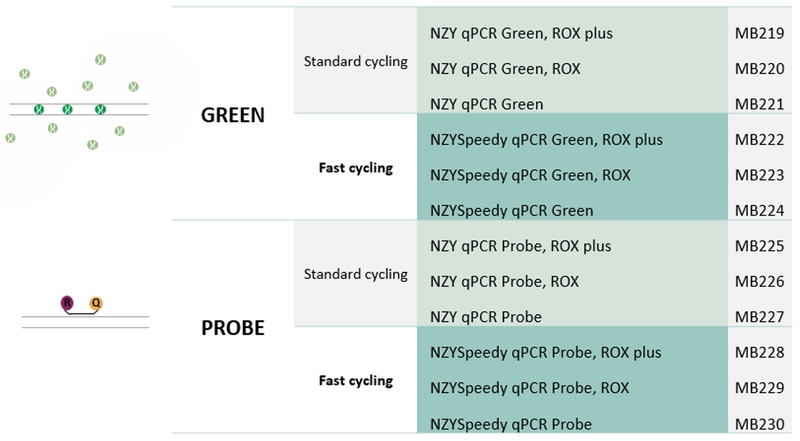 Choose the mix with the reference dye that is most appropriate for your instrument with the help of NZY qPCR Selection Guide.